For the perfect lighting in your home or business, you need the right products. But to truly harness the power of these products, you need the right controls. Controls are essential; they are the brains of every lighting system. From dimmers to sensors to color controllers, they manage light and make it more efficient. Having an efficient light source (such as LED) is great and is very important, but that is really only half the battle. Knowing HOW that light should operate (When should it go on or off? At what percentage?) is the second half of the battle. You need to not only have an efficient light source, but you need to use that light source efficiently! Only then will you truly be able to reduce your energy consumption to its lowest level and maximize your return on investment. Let us customize the right lighting controls layout for your project needs. 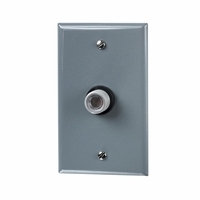 Among the main elements needed to maximize and enhance your lighting project are dimmers. 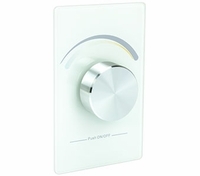 These switches allow the user to customize the level of illumination in each space, which can brighten the mood, create a relaxing atmosphere or relieve strain on the eyes. Dimmers come in a wide variety of sizes and styles, so it’s also possible to choose switches that blend in seamlessly with your existing decor. 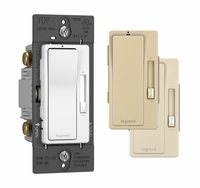 When paired with the right lamp or fixture, dimmers are easy to install and use. They are a popular lighting feature in both residential and commercial spaces. To heighten security outside the home, choose motion sensors that can be installed with your lighting project. 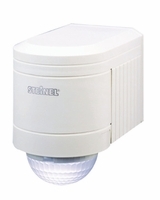 Motion sensors are the ideal solution for most security needs since they do not use unnecessary energy. Instead, the lights are only activated when needed. You can retain a darker atmosphere outside while still being alerted to any activity near the home. Motion sensors also assist with theft deterrent, so they are commonly installed in office buildings, retail stores and other public spaces. There are plenty of other lighting controls and accessories which can make your lighting project more versatile and effective. 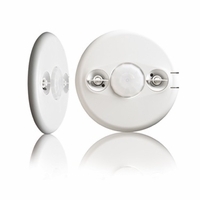 From occupancy sensors that create a more efficient lighting system based on whether someone is in a room to color controllers which allow you to perform tasks like color sequencing and color fading, these products give you increased control over the lighting system and the effects you choose to display. Pair these accessories with high-quality lighting fixtures and lamps to create the ultimate illuminated environment you have in mind.